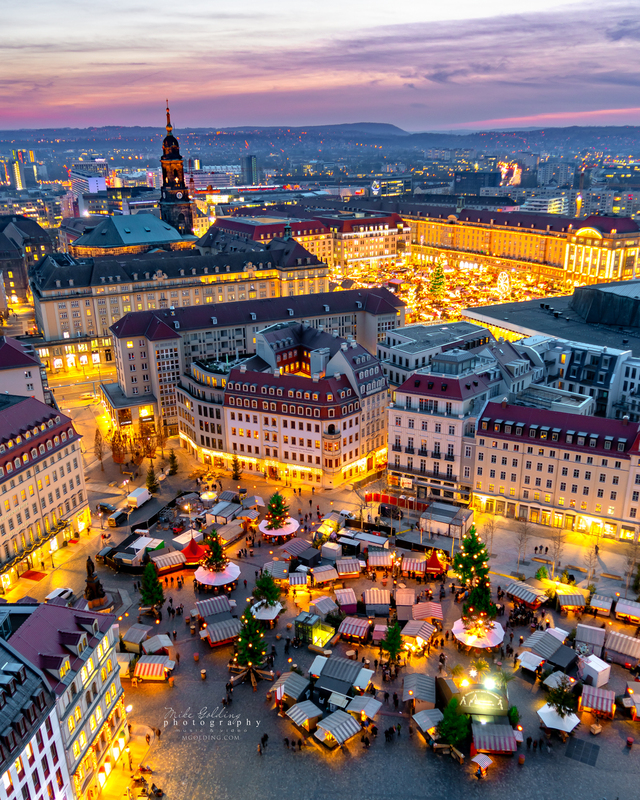 The world famous Striezelmarkt in Dresden, the worlds OLDEST Christmas market. This is where it all began and if you haven’t seen it for yourself you are missing out, this is the original Christmas market! This wonderful place is even more beautiful than normal at this time of year. And this also is the FIRST year since 1945 that square below is finally complete and all facades are rebuilt and in place. The square is still not quite finished but it looks just beautiful. When taking this shot it was so windy and cold that I was certain it was not possible to get a sharp picture as the gusts were so strong so I had to up the ISO a little bit to be sure of getting the image.